From being an almost crippled player with low RoE and plenty of bad-press till two years ago to one of the top five NBFCs now, L&T Finance has come a long way, thanks to the turnaround plan sewed up by the new management under chief executive Dinanath Dubhashi. In short, the financial services arm of engineering giant Larsen & Toubro had badly missed the bus and the bull- run that the industry had till last year, but fortunately moved up the ladder in the past six quarters. Today, L&T Finance Holdings is among the top five NBFCs with high return of equity (RoE) and one of the best in terms of asset quality and is among the top NBFCs in terms of market capitalisation. "To begin with we decided to be a pure-play NBFC as we were confused whether we are an NBFC or a bank. So, we'd to get the right business plan with the right structure in place that means less complexities, the right execution and the right people. To get this moving we had to ensure there's no room for anyone to blame the externalities for their failures. "So as I started off, I stuck my neck out and said we'll achieve the top quartile RoE by 2020 offering 18-20 per cent by 2020. I'm happy today that we'll be able to achieve this one full year in advance," is how Dubhashi recalls the course correction he undertook since taking over in July 2016 as the managing director & chief executive, though the turnaround plan was rolling from April 2016. The focus was on three-four things from beginning -- the right cost structure, getting the right people in and wrong people our and right product and execution strategies. "First of all, we'd a very heavy cost structure, which was eating into our nimbleness. As an NBFC, we'd to be nimble and fast. Then we'd a laundry list of 20-odd products earlier. To trim them to a sensible level was a key target and so we slashed them to just five now," say Dubhashi. It was also saddled with too many loss-making verticals, most of which had no hope of scaling up, admits Dubhashi, who joined L&T Finance in 2007 after stints with BNP Paribas, Care Ratings and SBI Caps. "We're in construction equipments, cars, where others were doing a better job than us. We're also into tractors and infra finance, where we did well. We also had a very bloated people structure, especially at the mid and top-levels." Similarly, he has also shuttered most of the verticals and has limited to just five now -- infra and rural financing, housing, MFs and wealth management. 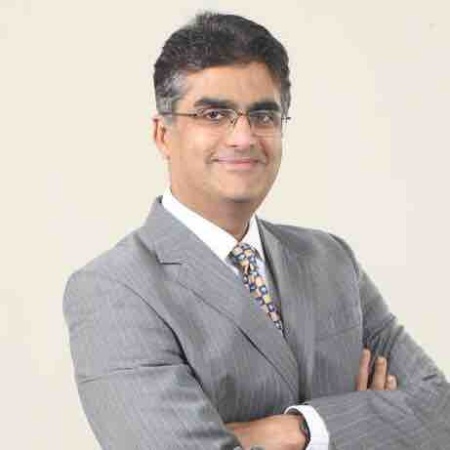 "To be specific, since April 2016 we focused on just four things: growing the focused businesses, fully stop the de-focused business, increases the already high fee income and ensure that cost is strictly controlled by strengthening the balance sheet, putting in place a strong risk management system and making each vertical head fully responsible and accountable," says Dubhashi. As a part of the revamp, he stopped disbursements to products classified as defocused and securitised some part of the portfolio to unlock capital. The defocused areas include cars, all types of commercial vehicles, SME term-loans and financing construction equipment, gensets, and three-wheelers. They also had people issues, which was very top-heavy, admits Dubhashi, adding, "I also ensured that the right-sizing should be aligned to their remuneration as well. So, we linked a large chunk of their pay to performance." Dubhashi further says to build a sense of ownership at the lower-end, he says his focus is on having more and more people on the ground than at the headquarters or at zonal offices. Today, it is among the top 5 NBFCs in terms of market capitalisation. With an mcap of close to Rs 35,514 crore, L&T Finance is more valued than all other state-run banks barring SBI and is just behind HDFC, Bajaj Finserv and Indiabulls Finance and way ahead of LICHFL, Bajaj Finance etc. HDFC is the most valuable NBFC with Rs 2.77 trillion in mcap. So far in 2017, its share price has surged close 120 per cent, while the Sensex rose only around 19 per cent. Last Friday its stock jumped 2.4 per cent to Rs 195 while the market closed flat after seven consecutive days of losses. The company reported a 49 per cent growth in net for the June quarter at Rs 309 crore when its RoE improved by 385 bps to 13.63 per cent from 9.78 per cent a year ago. Gross NPA decreased by 140 bps to 5.71 per cent. The RoE, Dubhashi says, has already rose to 13.63 per cent in end June, which is well above the average and moved up from a low 9.5 per cent when he took over. By March 2018, he is hopeful of it touching 16 per cent and 18-20 per cent in March 2019 -- one full year ahead of the target. On queried about the staff response to all the radical changes, he quips, "There wasn't a single voluntary attrition from the top 100. At the mid and lower levels there's been some 10 per cent attrition, which is on par with industry trend. One immediate result is that our cost-to-income ratio has improved to 23 from 33 per cent." Admitting that they failed on many counts till about FY16, Dubhashi says from FY17 they began to concentrate on five products, the results of which are all visible, as it has been outperforming the market since then. "But today I want to reiterate that we'll give 18-20 per cent RoE by FY19 itself because I am confident that the past five quarters have been as per plans," he concludes.